I can see some of your questions coming. Firstly, you will need to know the answer to this – what is the difference between juicing and blending? In juicing, the liquid of the fruits and vegetables are extracted, alongside with the nutrient but leaving behind the fibrous components. You get the juice, vitamins, minerals and all the nourishment your body requires to stay healthy. In blending, you get them all. Juice, the nutrients including the fibre your body needs. There is no right or wrong to which method you choose. It depends very much on your needs. Continue reading to find out which suits you better. Juicing ensures you do not overwork your digestive system. If you have been including fibre rich or whole food into your daily diet, juicing is the better option. Your body will absorb all the nutrients easily, giving your digestive system a breather. Additionally, there is a big difference between drinking and eating the same amount of fruits and vegetables. I say it will be challenging having to eat that amount of raw greens you use for juicing. Don’t you feel so? An elderly person who needs easy to digest food will benefit much from juicing too. Also, those who have a sensitive digestive system. Some people may simply dislike the rich, rough texture of a smoothie. So, juicing is for them! Blending gives you the fibre needed. And of course, all the nutrients. Fruits and vegetables are blended and pulverized into mouthwatering smoothies. The fibre of the fruits and vegetables give you a feeling of fullness and energized. A green smoothie before a workout will help maintain your energy throughout the routine. If you are watching your sugar level, fibre helps regulate your body’s use of sugar, ensuring a slow and steady absorption of sugar into your bloodstream. Needless to say, fibre helps relieve constipation, moving stool through the digestive tract and colon, keeping the colon clean and healthy. 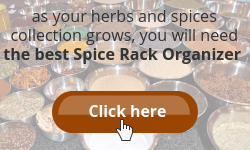 Most often, only a small amount of herbs are used in cooking as not to overpower your dishes. In order to ingest more, why not juice them? I have been saying this and will never stop repeating. Waste not, your powerful herbs! 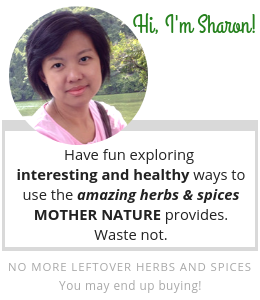 How many times have you discarded leftover herbs kept in your refrigerator? If you are not growing your own herbs, buying in a bundle will surely leave you with excess. Here are the 7 common cooking herbs good for juicing and most importantly, boost up the nutritional value of the juice. Previously, I have written an article on using these herbs to make a healthy smoothie. 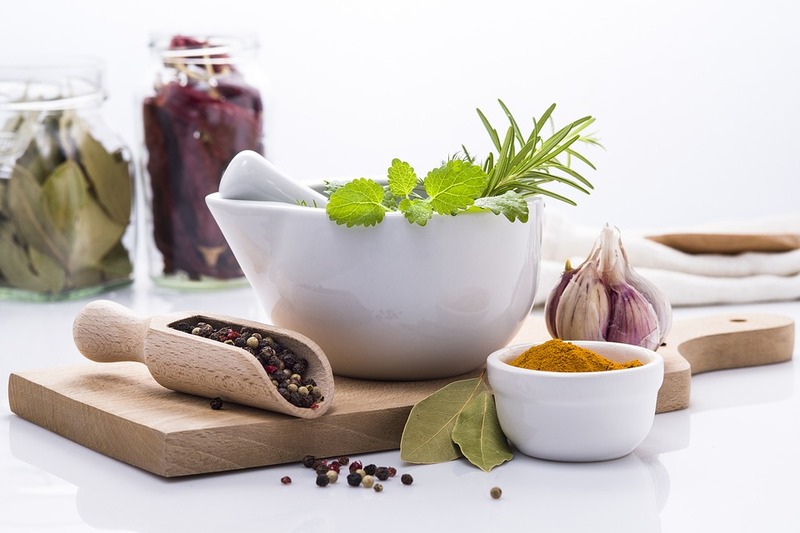 The nutritional values of the herbs and their benefits are listed. Click here and it will open on a new tab. 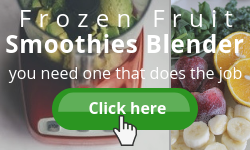 If you prefer blending, the article will show you how to make a healthy smoothie without a recipe following 5 simple steps and ingredients ratio. Wait! Why not continue reading here before you move to the next. You ought to know what type of juicer extractor to use and 3 simple steps to follow – making a juice without a recipe. There are so many names and terms for a juicer, it can be confusing for you. Me too. Let’s sort this out. Centrifugal Juicer is the normal juicer, I normally use. At times, it is also called high-speed juicer or fast juicer. Masticating Juicer also goes by the term Cold-Press Juicer. Another term, Slow Juicer, is what I usually hear people promoting. Its alternative names of high speed or fast juicer say it all. It processes the ingredients at a high speed. Simply drop the fruits and vegetables into the feeding chute down to the spinning blades where all ingredients in the basket will be crushed, ground, squeezed and juiced. Undoubtedly, the advantage of using a fast juicer is its speed. I understand a homemaker has plenty on their hands and getting things done quickly is of priority. What about the quality of the drink? This is one important aspect to think about. The heat produced by the high spinning speed may cause loss of nutrients in the juice. Also, this produces more bubbles which may not be pleasant drinking. Leafy green and herbs, berries too, passing too quickly will not have their juices extracted fully. Not only you’ll be getting less juice but the valuable nutrients are wasted. There is a tip on how to overcome this. Read on. Slowly but surely this juicer gives you more juice and nutrients. 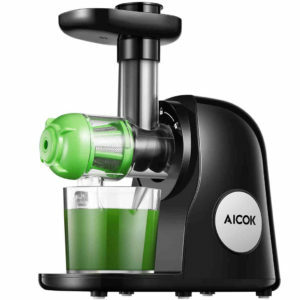 The slow-moving rotating gear ensures all the ingredients are crushed and squeezed thoroughly. Minimum loss of nutrients and volume. The juice is thick and fresh with little foam. There will not be much heat build up destroying the antioxidant which is abundant in the juice. Of course, quality comes with a price. Slow juicers are more expensive. Additionally, being slow, would you mind spending precious time feeding the juicer? But you know you will be getting all the nutrients in one healthy juice. Decision? Hold your thoughts and let’s see if the following helps you in deciding. Roll the leafy greens and herbs tightly, into a long cylindrical shape. Wedge the greens or herbs in the natural curve of a celery stalk or between two harder ingredients such as apple or cucumber. On a slow speed, nudge them through the feed one push at a time using celery stalks, carrots or fruit and vegetable of your choice. No matter which juice extractor you choose to use, these tips will help maximize the yield and nutrients but minimize wastage. Most often, I ask myself what to cook for dinner? I am sure you can relate. Open the refrigerator, look at what is available and whip up a quick meal. When it comes to juicing, the same applies. What is available? These 3 simple steps will help you get started. Of course, you want to drink a tasty juice – sweet, citrusy, earthy, fresh and herbaceous and you may want to spice it up. Here are the ingredients you may consider. No matter your preference or what you have readily available for juicing, balance is the key, just as in cooking. In any combination, if you will eat it, you will drink it. For instance, would you not like apple cinnamon? I do. How about apple orange salad with basil or mint? It’s refreshing, is it not? Absolutely. Try out the variations to find your desired taste. I bet you may end up with some weird taste but it’s alright. Enjoy experimenting! After all the preparation, peeling and cutting the ingredient, surely you will be frustrated with a low juice yield. In this case, choose high-yield fruits and vegetables that give you the most amount of juice. Note that some low yield fruits or vegetables such as kale and herbs are packed with nutrients. Therefore, do not dismiss them. Instead, mix high and low yield ingredients to get a good balance. Any food that is tantalizing automatically increases your appetite. Same goes to your glass of juice. When making a green juice, adding watermelon will result in conflicting colours. Stay green by adding fruits such as apples, pears or kiwis. On the other hand, cucumber blends in well with watermelon. Add a few leaves of mint, refreshing! Juicing with herbs allows you to incorporate nutrient-packed produce into your diet besides using them in cooking. In juicing, you will obtain all the nutritional and medicinal properties of the herbs in the form of a liquid, minus the fibres. People with a digestive issue will benefit the most. Centrifugal and masticating juicer have their pros and cons. Cheaper but noisier. Higher juice yield but expensive. Faster but foamy. Either one, remember to use the tips given in squeezing the most juice out of leafy greens and herbs while extracting all the nutrients. Get that extra antioxidant! Juice it! Good to note: Herbs may be petite but potent. Start with a small amount and up the amount accordingly. Although I encourage you to look at what you have available in your refrigerator that can be juiced, this does not mean that all will blend in well. With the 3 simple steps given above, choose wisely to balance the taste, yield and colour. Be adventurous, try different combinations. You may end up creating your own signature juice blend. Should you need more fibre in your diet, blending a healthy smoothie is a better option. However, it is not wrong to do both juicing and blending. Try them alternatively, or establish your own schedule to find which and how best to consume this wholesome goodness. Did you miss the link to making a healthy smoothie without a recipe? Here you go, click here. Check out the Best Slow Masticating Juicer to buy. Not all of them are expensive. You will be delighted there are a few affordable models and they juice well too. How is your decision? Is juicing for you, or blending? Slow or fast juicer? Let me know. For now, I am sticking to my old faithful centrifugal juicer. When the time comes, an upgrade is much desired. Psst, do you have a secret recipe for a marvellous juice? Tell me, I will be the first to respond. Share a tip or two in juicing or blending. Thank you in advance. If you find this blog post interesting, please share it with anyone that you think might find it useful. Thank you and have a good day! Disclosure: This article may contain affiliate links as part of the Amazon Services LLC Associate program and other affiliate services. 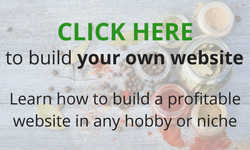 This means that cornerofmyhome.com receives a small commission by linking to Amazon.com and other sites at no cost to the readers. In my home, we traditionally cook most foods with some form of local herbs. Many of these help to boost the immune system and clear away toxins from the body. It is good to learn that I can reap so much benefit from actually juicing these herbs! I have always thought it is best to always eat the fibers from veggies and fruits since they help the digestive system. Now I know that may not always be the best option. But when it comes to juicing, don’t you think that we may be taking too much of some nutrients all at once? Hi There. Try to alternate the herbs and ingredients. You may have parsley now but not tomorrow. Or green smoothie today and red tomorrow. Add a different shade of colours to everyday life! Take a look at this list, showing the type of nutrients and healing properties for each herb. Hope this help. Masticating juicer looks good for me. It never came across my mind, I mean juicing with herbs. How nutritious a cup of that mixture will be. 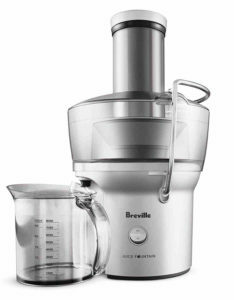 I’ve read a little about masticating juicer on my little research on the best juicer I can get around in the past few days, I should get it later this month. Remember to follow the tips on how to squeeze the most out of leafy greens and herbs. This is an interesting topic for me, knowing that so many years ago, I think I was just a child of 9 years, my Dad decided to blend the pawpaw fruits at our garden. He took two of them and sliced them with their barks on, after he sliced into smaller bits and pieces he started to toss them into a blender little by little, and eventually blended the pawpaw fruit alongside it’s herby bark. I recall the taste being too strong for me back then, and reading this wonderful post made me nostalgic. Thanks for walking back down memory lane. Cheers. Thanks for reading and sharing your memories, Oneal. Thanks for clarifying the difference between juicing and blending, as I was under the impression that they were one and the same thing. I would have never thought of adding herbs to my smoothies though. You have given me some food for thought. I can imagine using mint and parsley, but I am sure if you use too many of the others the taste will be a little strong. I think I will try out one of your recipes on your site before I make the smoothy undrinkable. Another new term for me is a masticating juicer. At the moment I just blend everything together in my blender and hope for the best, but at least I know I am getting my fiber. My mom in law however with her tummy problems may prefer the juice version. I will definitely take a further look into juicing options. Having the greens together may be too strong especially certain herbs. Remember, balance is the key. When juicing or blending greens, add sweet fruits as a sweetener. Juicing is absolutely a better choice for the elderly. My wife and I have long been experimenting with various combinations on our road to veganism. This requires alot of effort with regards the nutrient intake to ensure that there are no deficiencies in our diets. We have often included herbs into our smoothies and home made dressing to add both flavour and the needed nutrients. I have long held the view that the fibre is often just as important as the juice to support the digestive system and for this reason I use a Nutribullet to blend. Too much fibre can however ruin the product and that balance needs to be struck between using the blender or the juicer. Thanks for sharing, Richard. Both juicing and blending are beneficial for our health and both balance and moderation are equally important. Masticating juicer is a bit expensive but definitely a good option juicing for health. Thanks for commenting. I am very happy to come across your post Juicing with Herbs. I am a fan of fasting and do it for 9 days. That is the time where I fill up on freshly made juices, mainly vegetable ones. I have used parsley often when making juices but not the other herbs you suggest. I have parsley and rosemary growing in the garden and it would not be difficult to plant the other herbs as well. Thank you for this tip I certainly will try it. Nice to see you here again, Taetske. 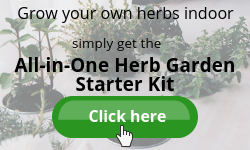 Growing your own herbs sure has a huge advantage. Try out the other herbs and let me know how you like them. I love these juicers and it’s good to know the the different types of juicers that will suit my needs because I so much like juice and I can’t wait to start preparing my juice by myself. Taking herbal kinda juice would be of a great health benefits indeed coz herbs are filled with a lot of antioxidants that helps for healthy living. I am glad we are on the same page, Kenechi. Thanks for dropping by. Juicing with herb is one of the best way to get nutritional contents into our system. Its very healthy and keeps ones immune system strong. Amongst the common heard you listed, Rosemary is my favorite herb, as it enhance memory and concentration, prevents cancer , Improves digestion just to mention a few. I will try out Oregano and parsley which you made mention also.Thanks so much for this helpful post. Talk about rosemary enhances memory – I most recently read an article about sniffing rosemary to improve memory. Probably I will share more after a bit of research on this topic. Thanks for bringing this up. Thanks for sharing your method. If not mistaken, it is called herbs infusion. An interesting topic to study and write about. I love juicing. However, I’ve never had a masticating juicer. I would also recommend, regardless of the juicer to do the small herds (ginger is always a good addition) wrapped leafy greens first….then the bigger items (apples, beetroot, etc. later to pull the rest of the herb matter through. Hmm. Once people get the hang of juicing, I highly recommend no recipe blends. It’s always fun and you get to change the flavors and be a little surprised at the results. No matter how I like not to peel the fruits (save time and effort), I still do unless I know for sure they are pesticide/chemical free. I absolutely agree with you having fun with the flavours and colours juicing. We always juice because there is no way we can take everything inside of the amount of fruits we put in. Let us say that if we blend it, we would have a very huge stomach, and that is not what we want. Now, I never heard about juicing with herbs before, as for me was only possible with fruits. Knowing this now, I will show this to my wife and we can try it it. I am pretty sure you and your wife will love it, Emmanuel. Add a punch to the fruit juice. Remember to start with a small amount as some herbs can be potent, overpowering the flavour of fruits. I certainly agree, adding herbs to our meals will enhance the flavor. But I had no idea about this until recently when an Indian colleague mentioned how she always adds herbs to their home cooked meals. She said that her family enjoys her cooking because of the herbs. So I started doing this except in times when it completely slips off my mind. Juicing or blending herbs? I didn’t know we can do that. I haven’t tried yet because I was only introduced to the fresh and powder forms but that would be interesting. By the way,thank you for explaining the difference between juicing and blending and which is better in order to get the most of the nutrients in the herbs. Thank you for this valuable information. And oh, the juicing recipes too. I will be trying them one by one in the coming days. Cooking with herbs is very common but it was only recently I found out about juicing them. Thus, I spent some time studying them and sharing here. Glad you find this information useful. After trying, tell me which recipe you like most. Or you may have created your own recipe then. There are a lot of things we don’t know, don’t we. I am happy to share the information and experiences I acquired. Please feel free to get in touch with me. Any comments, feedback, need my help or just want a friendly chat. I want you to know that my posts may contain affiliate links. 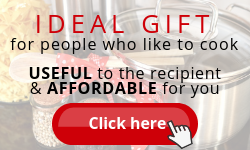 Read more about my affiliate relationship.